Rainforests are jungles that have the highest rate of rainfall. Its annual rainfall ranges between 1,750 – 2,000 mm. it is also known as the Inter Tropical Convergence Zone (ITCZ). The rainforest provides for 28% of oxygen turnover. 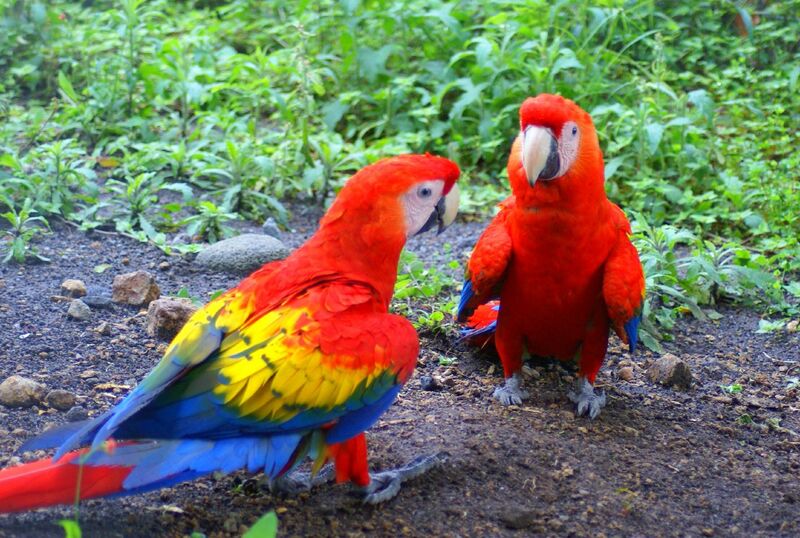 There are various animals especially birds that are found in the rainforests. Most of these are extinct. If you are wondering about the rarest birds that are migrating in the rainforest, then here is the top 10 list of rare rainforest birds around the world. 10th position is for the Pink Pigeon. 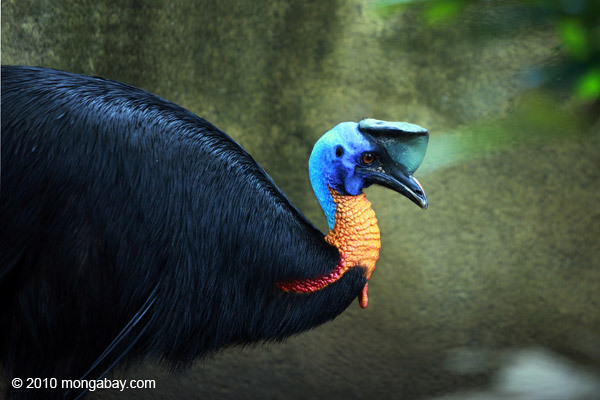 This rare bird was at the brink of extinction on 1991 when there are only 10 species left. But through the efforts of Durrell Wildlife Conservation Trust in 1977, the number of species increased. The institution was able to publish a book titled “Golden Bats and Pink Pigeons” talks about the conservation efforts. They have enlisted this bird under the IUCN Red List in 2006. The country utilized the image of Pink Pigeon as one of their symbolic stamps depicting its endemic resources. An adult pink pigeon is about 32 cm (13 in) starting at the beak going to its tail. It weighs a total of 350 grams. The pink pigeon have pale pink plumage located on its head, shoulders and at the underside including the feet and beak. The wings are dark brown and it has a broad, reddish brown tail. 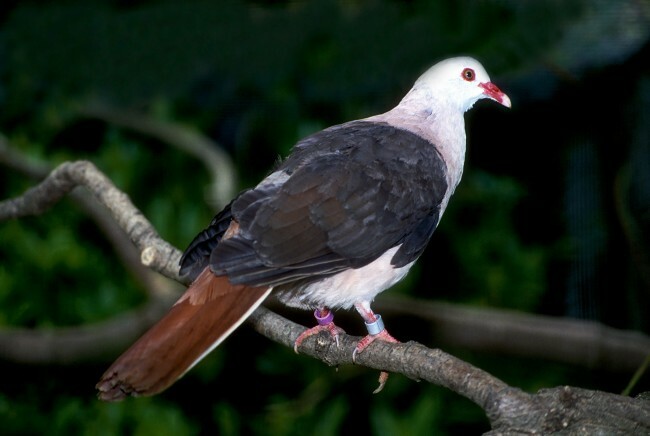 The eyes of pink pigeon are color brown and it is surrounded with a ring of red skin. Standing alone in number 9 is the Flamingo. There are approximately four different species in America and two species in the old world. 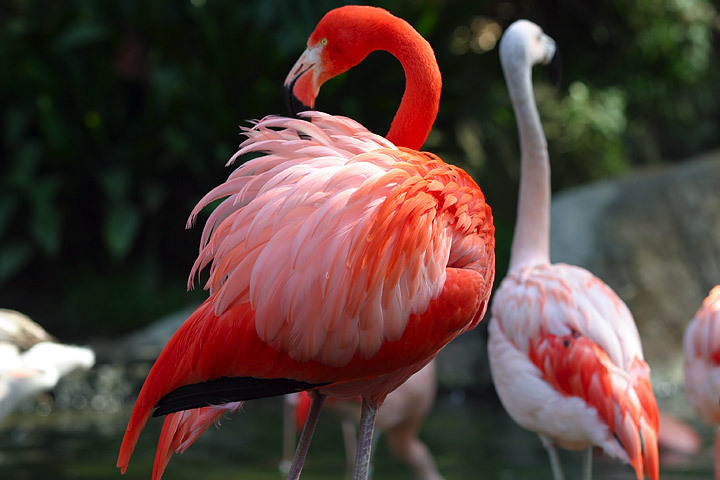 The flamingo is known for a bird that stands on one leg and the other is tucked under the body. This makes their behavior which is very hard to comprehend. There are few species of flamingos that are able to sleep using half of its body and when the other side is resting, the flamingo will just swap legs and then allows the other side to sleep. However, this phenomenon is not yet proven. There are current investigations that indicate the standing on one leg behavior of flamingo allows them to save more body heat and spend most of their time wading in cold water. They also stamp their webbed feet over the mud to stir food at the bottom. Young flamingo hatches a greyish-reddish plumage. The adult ranges from light pink to bright color red due to bacteria and beta carotene that they acquire from their foods. Scarlet Macaw proves to be in number 8. This bird prefers to be in a humid rainforest. 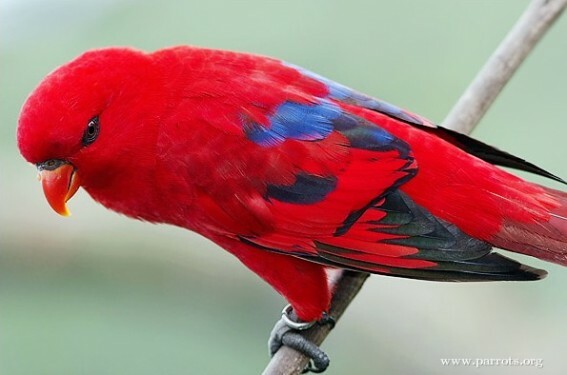 Most of its species suffered from extinction due to destruction of habitat and captivates for parrot trade. Previously, this bird stays at the northern and southern Tamaulipas. It serves as the national bird of Honduras. Moving to the 7th position is the Red Billed Toucan. 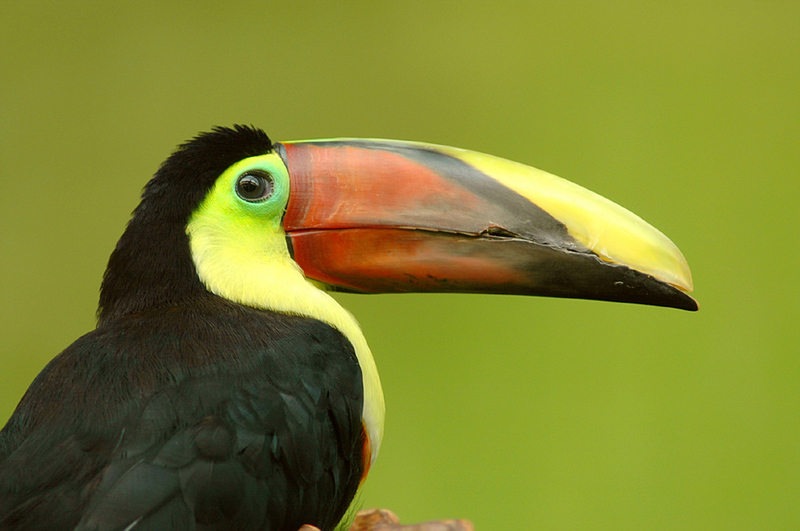 There are approximately 37 various species of toucans. When sleeping, the head is turned and its long bill rests at the back. The tail folds over it. When courting, the male and female toucans toss fruits to each other. It is a poor flyer bird that moves from tree to tree. The Indian bird got the 6th place. This large and brightly colored bird is predominantly embedded with color blue. It has a fan-like crest of spatula-tipped and wire-like feathers. It has colorful eyespots. 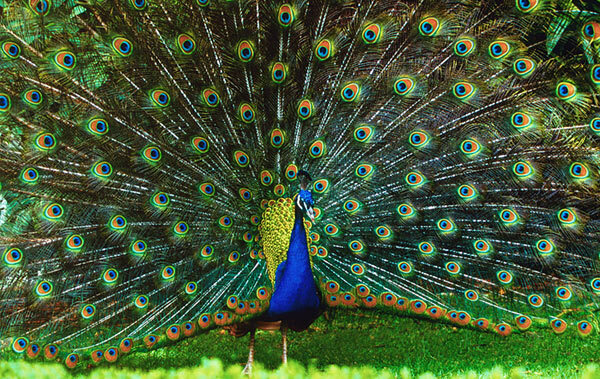 During courtship, the bird displays its feathers by raising it to attract female Indian peafowl. It serves as the national bird of India. Landing at the 5th place is this intelligent bird has a playful and colorful appearance. It has deep red with black and equipped with electric blue markings found on its wings and rump. The pattern varies from species to species. The tail of this bird is dark maroon. It has orange beak for approximately 10 – 12 inches long. 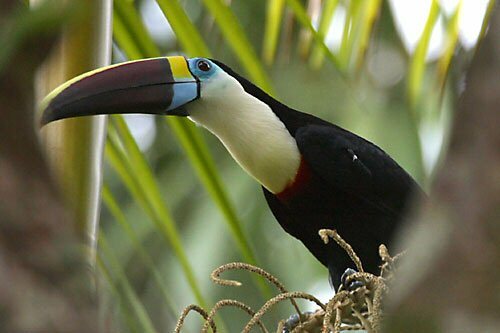 It is the second largest specie of toucan. It weighs for approximately 600 grams and has a beak with a total length of 8 inches. The Swaison’s Toucan got the 4th position. 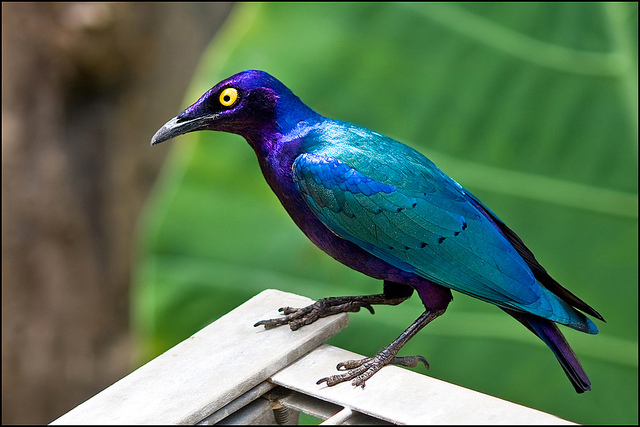 Coming at 3rd place is the Purple Glossy Starling. The adult of this bird has a total length of 22-23 cm. It has a metallic purple head and body. The wings are color green. This bird has a short tail and the color of the eyes is yellow. It is a member of starling family birds. The 2nd place holds the bird with firm and rigid black plumage. Its face hue is blue with a casqued feature at the upper part of the head. The neck and wattle is color bright red to yellow. Its feet are enormous and robust with elongated, dagger-type claw found on its inner toe. The male harpy eagle can weigh a total of 30 kilos or 66 lbs and the female harpy eagle weighs smaller. A 58 kilos or 128 lbs harpy eagle is the third biggest bird in the world. The top position of most rare rainforest birds goes to the harpy eagles. The biggest raptor bird in America and considered as one of the extinct form of eagle. 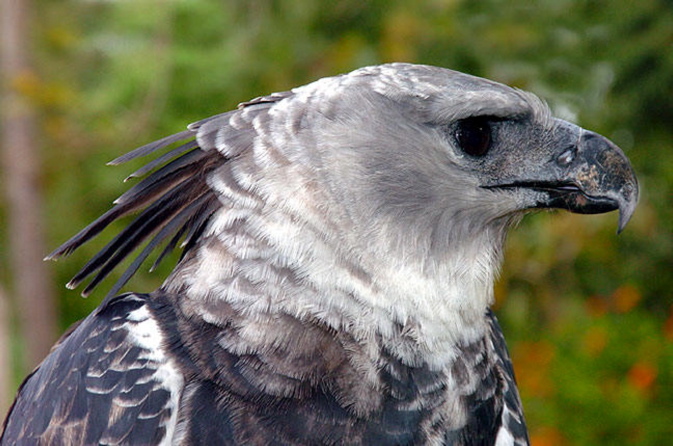 The Harpy eagle usually resides in low land area of the rainforest.